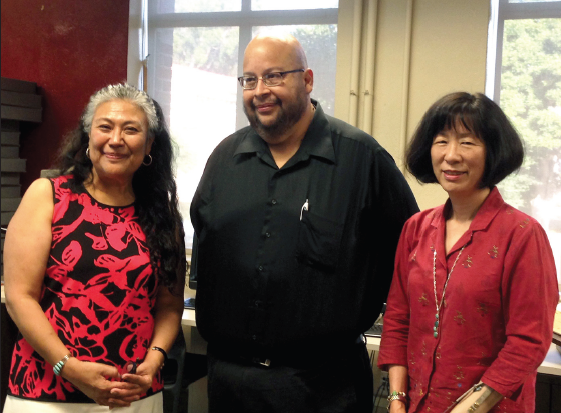 UCLA Chicano Studies Research Center recently held a book talk by Selfa A. Chew on her latest publication, “Uprooting Community: Japanese Mexicans, World War II, and the U.S.-Mexico Borderlands.” She was graciously introduced by Professor Valerie Matsumoto, who grew up in these borderlands. Given the fact that Mexico is such a close neighbor geographically, I wonder why Japanese Mexicans are not a familiar part of our awareness. As a kid in the 1950s, we used to go on family vacations to Rosarito Beach, and my dad’s fishing club used to go deep-sea fishing off the coast of Baja California. Mexican food has long been a favorite in the Japanese American diet (even my Issei grandmother used to make tamale pie!). This presence of Mexican influence in our Southern California Japanese American culture is historically rooted since we have been in the U.S. Many Japanese immigrants found their way into the U.S. illegally through Mexico — perhaps this is but a small clue to this seemingly unspoken topic in our community. Chew’s book on Japanese Mexicans comes as an enlightening look at this little-known topic. In “Uprooting Community,” Chew details an intense history between Mexico and the U.S. We are reminded of the Mexican-American War (1846-1848), when the U.S. took over one-third of Mexico’s territory, including nearly all of California, Utah, Nevada, Arizona and New Mexico. Texas had already been taken in 1836. There was popular anti-imperialist sentiment against the U.S., which was bolstered by the Mexican Revolution. Mexican revolutionaries sought to remove U.S. and European business interests that were seeking control of Mexico’s economy. The U.S. embargoed Mexico in response to President Lazaro Cárdenas (1934-1940) nationalizing their oil industry. Mexico was moving towards what looked to be a socialist regime on the southern flank of the U.S. The next president, Ávila Camacho, faced huge social unrest and opposition from the left and the right. He found financial help from the U.S. to protect his political power, in exchange for supplying the U.S. war machine with natural resources and human labor for its World War II effort. Mexican workers were welcomed into the U.S. through the Bracero Program because of the labor shortage created by the war. The U.S. Army recruited 250,000 Mexican citizens to fight in its World War II army, with plans for the Mexican Army to eventually come under the command of the U.S. Army. Mexico has never received any gratitude for helping the U.S government become the world’s first superpower from World War II. In 1943, the U.S. Board of Economic Warfare was allowed to establish “crops in Mexico that inhibited the production of grains essential to the Mexican diet, with a consequent rise in malnourishment among the most unprotected populations.” And Japanese Mexicans were part of the most vulnerable. Another revelation Chew uncovers is how Canada and the U.S. had already discussed suspension of civil rights in 1938, way before the Pearl Harbor attack. And Canada’s internment order for Japanese Canadians was announced just five days after Roosevelt’s Executive Order 9066. Mexico did not have anti-miscegenation laws like the U.S., so many Asian immigrants married Mexican women and had families. Koreans were the only group that were able to bring their families. 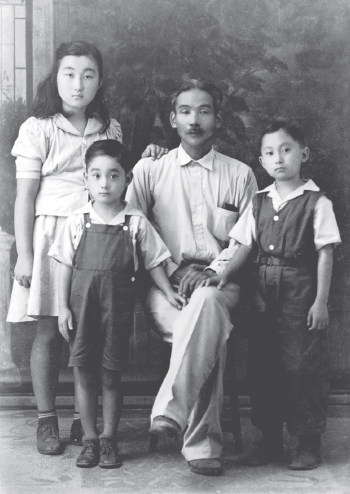 While the numbers of Asians were not as large as their U.S. counterparts, Chew contends that the histories of the Asian working classes in Mexico are among the “most vulnerable.” During World War II, Korean immigrants were considered Japanese [subjects]because of the Japanese annexation of Korea. The governments of the U.S., Mexico, and Japan have blocked out the real World War II history of Japanese Mexicans by promoting the privileged situations of rich Japanese Mexicans who were not forced to leave their homes or businesses. There were many hundreds of Japanese Mexicans in the borderlands and coastal areas who were forced to leave for the interior. The Mexican government did not have the kind of money the U.S. did in rounding up this “internal enemy.” Many were forced to leave their Mexican wives and children at their own expense, suffering many years of unemployment and destitute living conditions as internal enemies. There were concentration camps but also cases of Japanese Mexicans being forced to work without wages for Mexican ranchers — basically as slave labor. Rodolfo Nakamura Ortiz of Mexico City was taken as part of the 1942 Relocation Program, but never told anyone about it until Chew interviewed him, shortly before he passed. He didn’t tell his children because he didn’t want them to think their Mexican citizenship was worth nothing. In the coal mines of Coahuila, Japanese socialist anarchist miners organized against American and British corporations. Some of them ended up in the high-security prison in Vera Cruz called Perote, which housed Italian, German, and Japanese suspected spies. Through pressure from the U.S., the relocation program left most members of the Japanese Mexican community — including those born in Mexico, naturalized citizens, and the Mexican children and wives of Japanese immigrants — without civil rights, just like the rest of the Nikkei in the Americas. On March 27, 1942, El Paso’s newspapers informed their readers that a group of 80 “Japs” from Juárez would have to leave the border city. Making it sound harmless, the newspapers said the Japanese Mexicans had “been offered farming land in the prosperous farming community of Santa Rosalía [Camargo], near Chihuahua City, where they will be able to earn a living for the duration of the war.” In fact, the displaced Japanese Mexicans did not stay in Santa Rosalía de Camargo or receive farming land. Instead, they were held captive in Villa Aldama, Chihuahua, where the local governor forced them to work for Chihuahua’s politicians. Dr. Manuel Seichi Hiromoto, legendary in Cuernavaca as a magical doctor/healer for the indigenous people, was accused of being a spy. He had traveled with the Mexican Army as a doctor and also worked as a miner. He opposed the labor exploitation that existed in the concentration camp and was taken to Perote. Japanese Mexicans were also imprisoned at Lordsberg, New Mexico, a U.S. high-security prison for German, Italian, and Japanese suspected spies. Chew interviewed Rodolfo Nakamura Ortiz and Dr. Hiromoto in their remaining years. She wrote a novel, “Mudas las Garzas,” in three days based on their oral histories to show them before they died. As a conscientious researcher and oral historian, Chew wanted to make sure she got their stories right. It was published in 2007. They could also die knowing their stories would be told. Unfortunately, you have to know Spanish to read it. But you can know more about the Japanese Mexican experiences by reading “Uprooting Community” (it’s on Amazon.com) for a knowledgeable read about our relatives and neighbors just south of the border. Mary Uyematsu Kao has worked at the UCLA Asian American Studies Center since 1987. She received her MA from UCLA Asian American Studies in 2007. She can be reached for comments and/or criticisms at [email protected] Opinions are not necessarily those of The Rafu Shimpo.